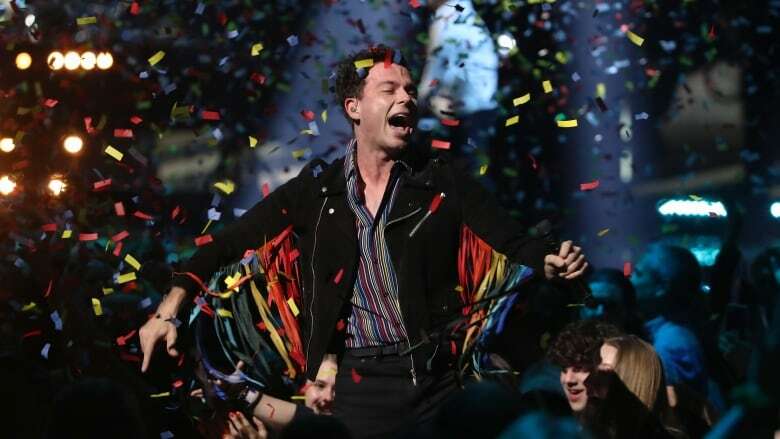 From the opening number with DJ Loud Luxury to the finale with Corey Hart, the Juno Awards Sunday were a celebration of Canadian talent — and even included a surprise guest. Canadian singer-songwriter Sarah McLachlan opened the Juno Awards by championing Canadian music, saying "there's no denying" the country's impact on music worldwide. And the combination of uplifting performances and talented award-winners and nominees drove that point home. "Music is often that voice of inclusivity and hope," McLachlan said on stage Sunday at the Budweiser Gardens in London, Ont. The Building a Mystery songstress also introduced 1980s music sensation Corey Hart, who was inducted into the Canadian Music Hall of Fame. Hart was known for massive hits beginning in 1983 such as Sunglasses at Night and It Ain't Enough, following up that success with the 1985 smash record Boy in the Box. 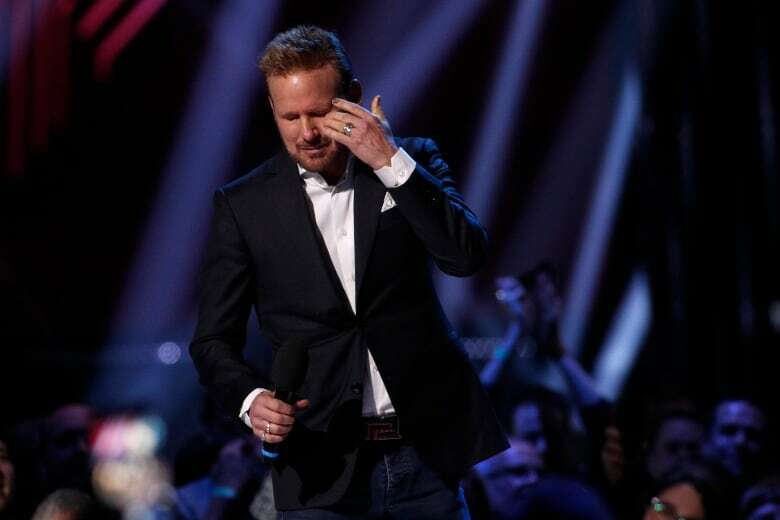 "I've been so blessed to have lived my life with music by my side since I was a little boy," Hart said after accepting the award and receiving a standing ovation. "I believe that music and love are the most enduring and powerful forces of good in the world." While he became a household name with singles such as Never Surrender and Everything in my Heart, Hart stepped away from the spotlight in the late 1990s to spend time with his family and help raise his four children. He said on stage he'll be embarking on a Canadian tour in June and will be recording new music as well. In a surprise appearance, Sting, who is in Toronto performing in the musical The Last Ship, also took the stage to introduce world-renowned producer-songwriter David Foster, who spoke to the audience about organ donation. Foster was honoured with this year's humanitarian award at a gala dinner Saturday night, where the majority of Junos were handed out. London's own DJ duo Loud Luxury opened the show with a performance of their hit song Body. The pair was joined onstage by Western University's marching band and cheer squad. Loud Luxury won their first Juno for dance recording on Saturday. Hart wrapped the show with a performance on the piano of his 1985 hit song Never Surrender followed by the high-energy number Sunglasses at Night which had the audience on its feet. Other performers included Arkells, Bahamas, Jeremy Dutcher, Coeur de Pirate and McLachlan, who performed with folk-rock duo Whitehorse and students from her Vancouver school of music. Shawn Mendes headed into the night with the most nominations — and the most wins. Mendes took home five trophies in total, including album of the year. The Treat You Better singer won most of his awards on Saturday during the non-televised ceremony, including artist and single of the year. He didn't attend the festivities but performed In My Blood via video from Europe, where he is currently on tour. Jessie Reyez took home a Juno for R&B/soul recording with Being Human in Public. In her acceptance speech, Reyez acknowledged the role her fans have played in her growing popularity and encouraged them to follow their dreams. "None of this is possible without your support," she said on stage. "I am you and you are me and if there's one thing that you're chasing, and you're willing to work hard for it, do it." The fan choice award went to Avril Lavigne, who did not attend the show.